The story of Ngake and Whātaitai is told by the people of Te Atiawa ki Taranaki Whānui. It is a well-known story for the people of Te Atiawa and Whanganui-ā-Tara describing the creation of Wellington harbour in New Zealand. 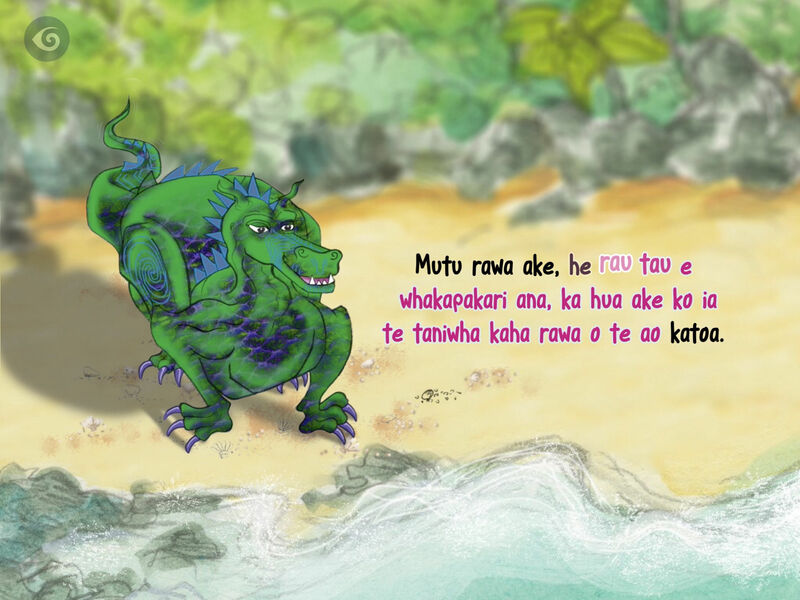 The app was produced for Te Aho o Te Kura Pounamu, the largest provider of distance education to students throughout New Zealand, with students from early childhood level through to adults. 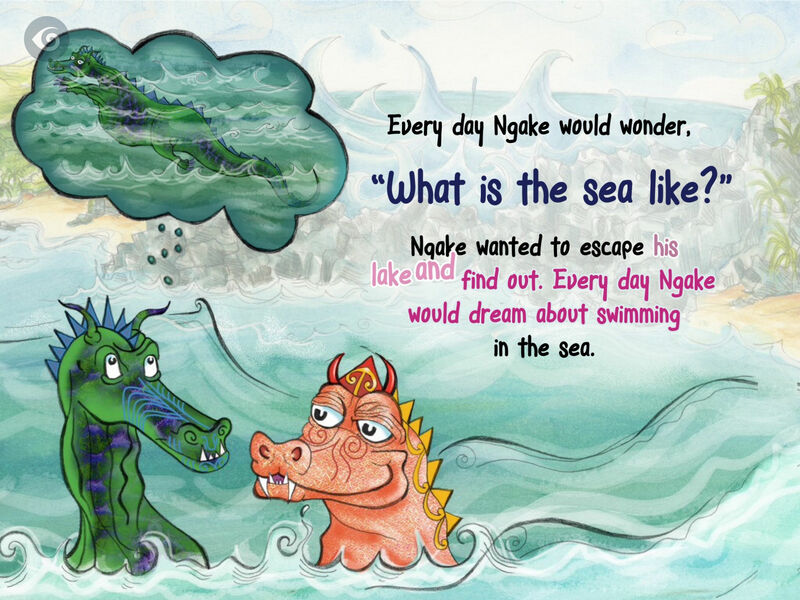 The development of resources which nurture children’s wairua and connectedness to the wider world and land, an understanding of their culture through waiata, myths and legends, is a learning outcome of Te Whāriki, the Early Childhood Curriculum. 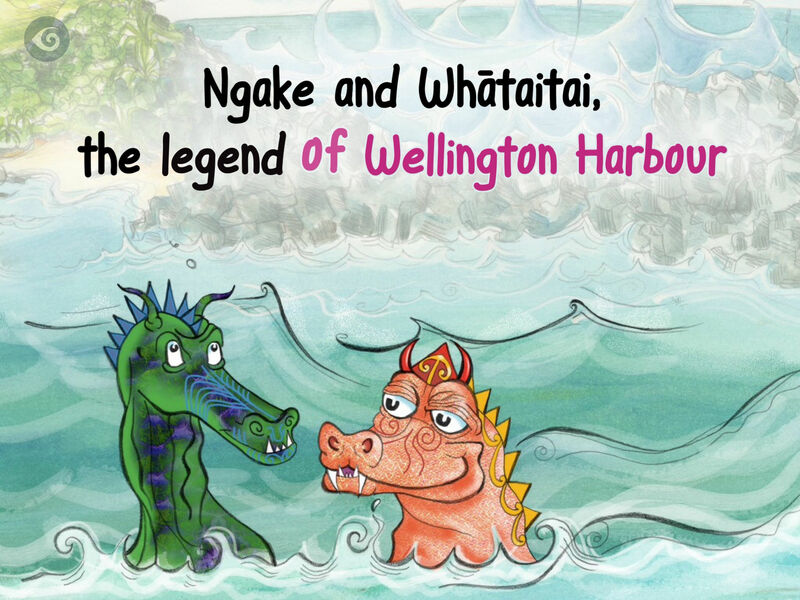 It is important to be able to share these legends with children and whānau who may not otherwise be able to receive them; ensuring children of specific iwi develop a sense of belonging with their land and educating children who might not be aware of their local myths and legends. 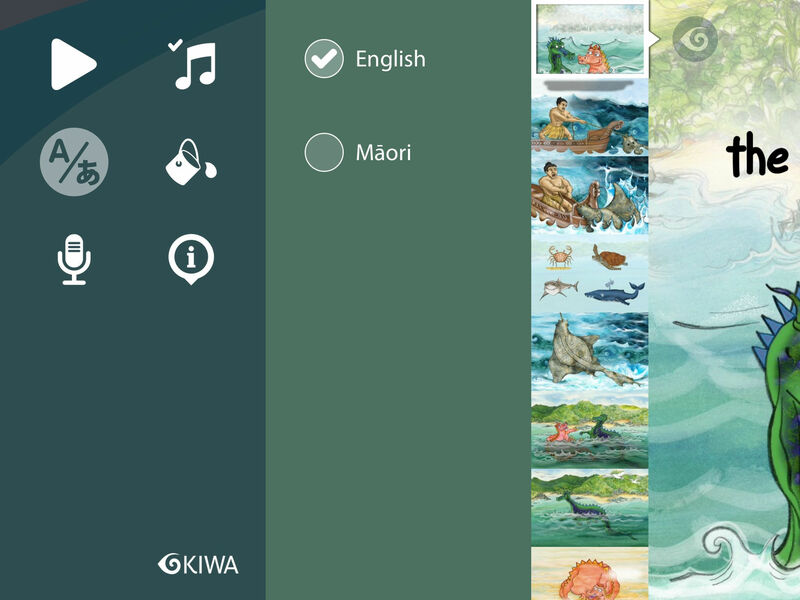 Narration, text, and user interface is in English and te Reo Māori.